If you’re not passionate about what you do, the chances are you’re not going to do it nearly as well as your competitors. That’s the main takeaway from Thom Campbell’s recent interview with The Future of Supply Chains, an excellent industry analysis site written by Dustin Mattison. Here’s the video from an insightful eight minute look at his background and what drives his work at Capacity LLC. Supply chain partners have perhaps more impact on the success of another business than in any other industry. Often you are literally touching every product before it reaches the customer. Where others choose to compete on price and square footage, Capacity LLC is rooted in the belief that service starts with that dedication to your client. Learning about their products, industry and customers, and aligning your operations to strive for the same business goals. The people and stories behind their success are what inspired Thom to make the move from finance to supply chain management. His 15 year career in the industry is built on great relationships and people, such as George Korres , whom he refers to in the video. If you have a deep interest in supply chain management and care about a specific area already, you’re half way there in terms of a career in the field. Thom sees far more loyalty and dedication in this industry than anywhere else he has worked. You can read the full transcript of Thom’s interview here. Thanks again to Dustin and please let us know what you think about the points raised, either here in the comments or on Facebook, Twitter, and Google+. 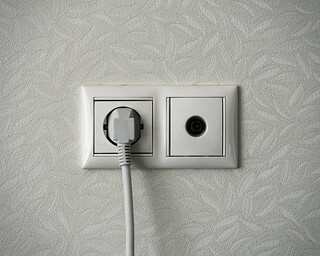 In our continuing series of case studies spotlighting our services, suppliers and partnership, we focus today on Socket. Socket is in the business of building brand, by providing managed back office services, operational, and finance function support for consumer brands big and small. Their expertise is applied to products and services in the personal care, spirits, beverage, baby, home, and sporting goods industries, among others, and they allow business owners and their staff to focus on managing growth, rather than more mundane admin duties. This is how they help the our shared client interests at Capacity LLC. “Core competencies” is perhaps an overused phrase in management, but the concept highlights one of the key challenges for any business: what tasks have to be done in-house and which can be outsourced? For many businesses the back office functions don’t count as a core competency. They are business critical, of course – your people need to get paid and your customers need to pay you! – but not necessarily mission critical. While you can always rcruit your own experts with the skills to manage administrative and behind-the-scenes work, this is an ongoing commitment. It comes with all the training, management, and HR requirements a new employees (or perhaps an entire team) demand. Owners of businesses of all shapes and sizes regularly decide against hiring a fully functioning team to manage these back office task, leaving them to fill a gap with third-party expertise. The fundamental action of the Socket team and system is plugging seamlessly into our client’s team workflows to empower them, rather than disrupt. Established over the course of serving hundreds of companies over 15 years in the business, Socket has learned exactly how to align with diverse clients and the different ways they work. Having flexible systems of work allows the company to customize solutions to the needs of individual clients, meaning there will always be a way for them to integrate what you need to be done with the solutions they have to achieve it. At the core of Socket’s solution is the simple phrase “turnkey solution.” As the name suggests, the company acts fast to allow clients to plug into their solutions and get the back office busy work out of the door and into the hands of experienced brand builders. The results of our clients engaging Socket’s servics are remarkably similar to those of hiring a 3PL like Capacity LLC. Unrivaled experience leading to expert, scalable solutions. In summary, it’s important to know what you do well, what’s fundamental to your business, and what you can afford to farm out to third parties who have their own expertise in a field that you don’t really want to manage. If that’s an answer you’d like to hear for your business, we highly recommend contacting Matt or Scott at Socket today. The Future of Retail: Bigger & Better or Smaller & Slicker? The rapid growth of ecommerce and, more recently mcommerce, has forced businesses to question the future of retail. Where for years it was assumed that the Walmart model of big box = better was the way forward, even the behemoth is starting to think smaller is slicker, in some cases. Continue reading The Future of Retail: Bigger & Better or Smaller & Slicker? Posted on June 19, 2014 November 15, 2015 Author Anne H.Categories RetailingTags big box stores, ecommerce, mcommerce, mobile payments, online ordering, online retailers, Order fulfillment, retail, smarter shoppingLeave a comment on The Future of Retail: Bigger & Better or Smaller & Slicker? Even if you’re not directly involved in the transport and logistics industry, it’s likely that you see shipping containers every day. On the road as you commute to work. Stacked up neatly in the storage area of haulage company or distribution center. Perhaps even on a vessel as it sails into port. What you probably haven’t seen – or even considered – is just how versatile these plain old cargo boxes can be. 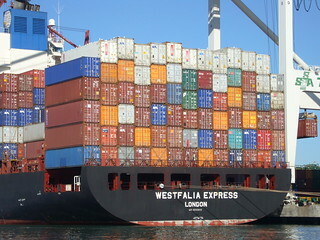 Far from containing only the latest mass-manufactured item from the East, shipping containers have been used in a variety of ways by enterprising minds around the world. In some cases these are simply fun ideas, but in some instances these robust (and ubiquitous) storage solutions can put a roof over the heads of the homeless or form a makeshift learning space to provide children with an education. We’ll look at the more serious uses next week, but for some light-hearted Friday fun here are some of the quirkier uses for shipping containers that we’ve come across. The days of browsing a chic SoHo gallery are just sooo 2013, dah-ling. The true art critic knows that the most vibrant space to spot art (or perhaps just be spotted) is in the renovated interior of an old forty foot container. Okay, very few people’s idea of luxury is limited to the square footage squeeze of a shipping container, but we’re willing to bet that realtors have stretched the term “cosy space” further than this. If you’ve never considered the joys of a DIY swimming pool, just watch how much fun these German kids have diving into a compact container pool… roll on summer in the storage yard!